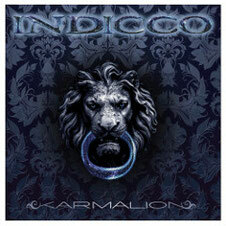 Spanish duo INDICCO will release worldwide their first album "KARMALION" through New Venture Music on June 14th. 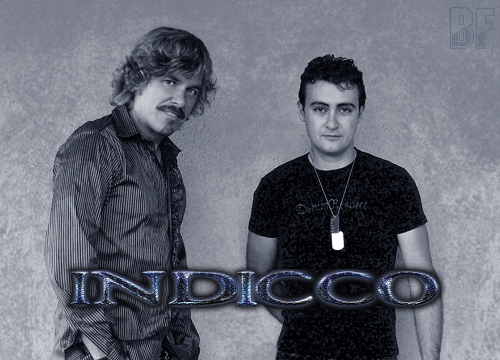 Indigo Balboa and Paco Cerezo started to work together in 2008, after a while founded the band INDICCO. Indigo Balboa had just returned from California where he was working on his second solo album with the well known musician/song writer/producer Mark Spiro, and Paco Cerezo had just left the internationally renowned Spanish Melodic Rock band 91 Suite of which he was the co-founder and guitar player. 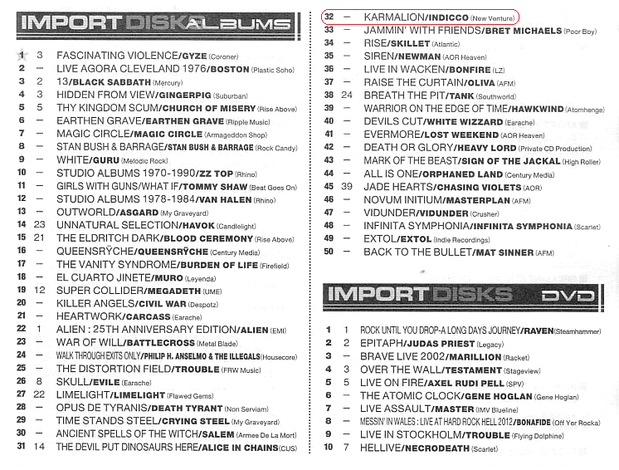 Three years in the making, "KARMALION" marks INDICCO’s debut album, a pure Melodic Rock affair of international quality, combining fresh new ideas with the classic AOR trademarks of the bands that inspired INDICCO's sound, like Survivor, Giant, John Waite, Toto and Bad English. 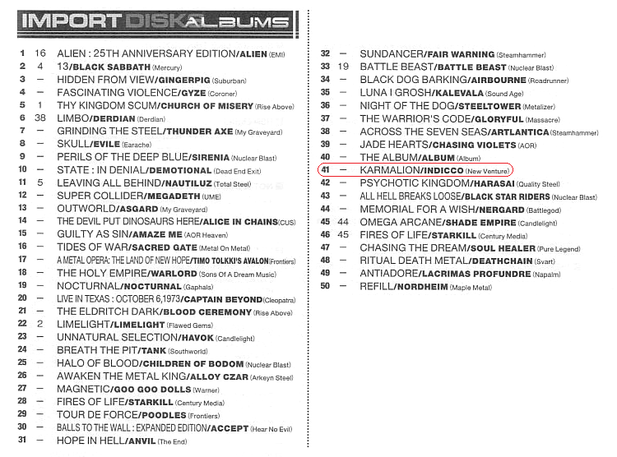 "KARMALION" unites the Spanish Melodic Rock elite with three iconic AOR heavyweights, underlining the high musical standard the band is aiming for : Jimi Jamison (Survivor), one of the best vocalists of the AOR genre, is sharing lead vocals with Indigo Balboa on three tracks, did backing vocals and co-wrote a song as well. Mark Spiro (Bad English, Giant, John Waite, Mr. Big) co-wrote and recorded vocals for three songs of the album. He also played piano and keyboards and took care of parts of the production at his studio in Carlsbad, California. Tim Pierce (Rick Springfield, John Waite, Eric Martin), one of the most in demand session guitar players on the globe is featured on additional guitars. The album was completed by Antonio Muñoz (ex-91 Suite) on bass, Lean Martinez (ex-91 Suite) on drums and Angel Valdegrama on keys, and produced by Indigo Balboa, Paco Cerezo and Mark Spiro. This year, INDICCO will be on tour again to promote their album “Karmalion”, they will share the stage with Jimi Jamison on some of the dates.